Bloons TD 5 – Games for Android 2018. 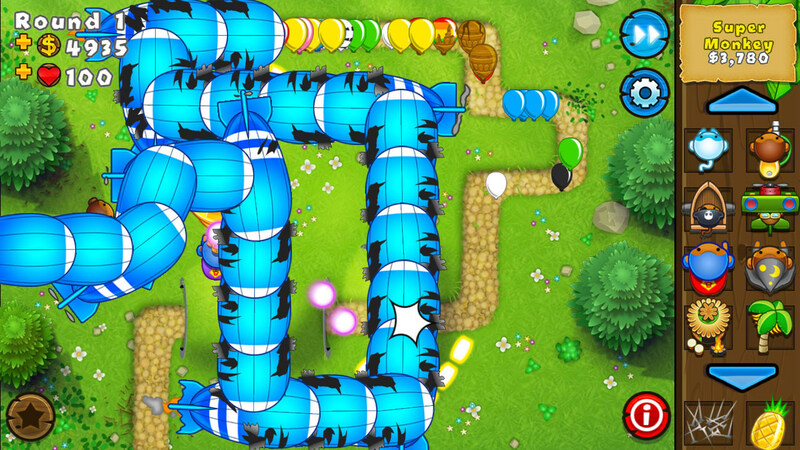 Bloons TD 5 – Fancy tower defense game about monkeys. 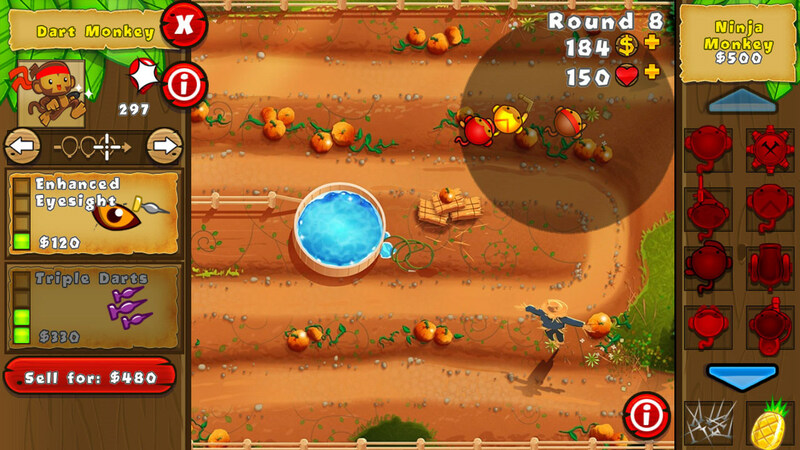 Bloons TD 5 - it's a great game in the genre of Tower Defense for Android, which differs from its analogues diversity. The principle of the game is the infinite development of its recruits who have multiple paths of development. At the same time, you can play both in the campaign and multiplayer. Game development company took ninja kiwi, which is the author of previous games in the series. This game is made in the first cartoon graphics and seems unpretentious arcade to kill time, but in the main menu, it becomes clear that the game is very diverse and will give odds to some well-known creations in the genre of Tower Defense. In general, the gameplay is classic - by all means necessary to prevent enemy targets reached the end of the road. 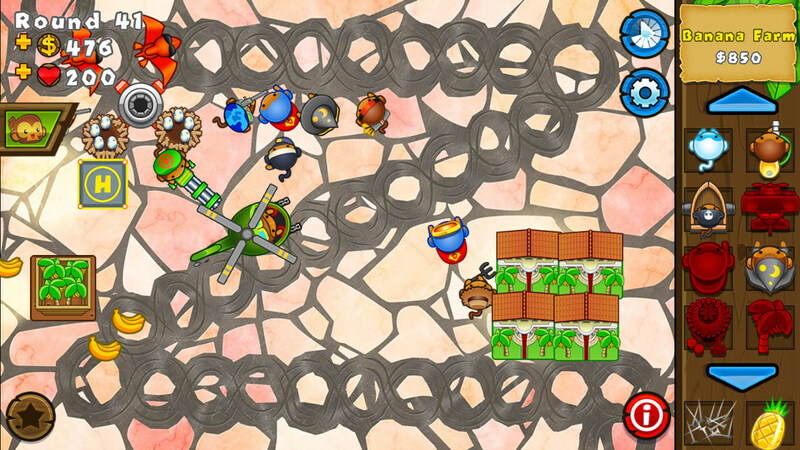 The player has an army of monkeys fighting and enemy targets are presented here in the form of different balls that can be immune to a certain type of towers. Each monkey can be improved several times by two branches. With each upgrade recruit acquires new abilities. Besides combat units available structure. So, you can build a banana plantation, which will bring money, or tower, which will improve the morale of all the monkeys. A special place in the game take special agents. They can buy for the money and call in passing during any type of game. 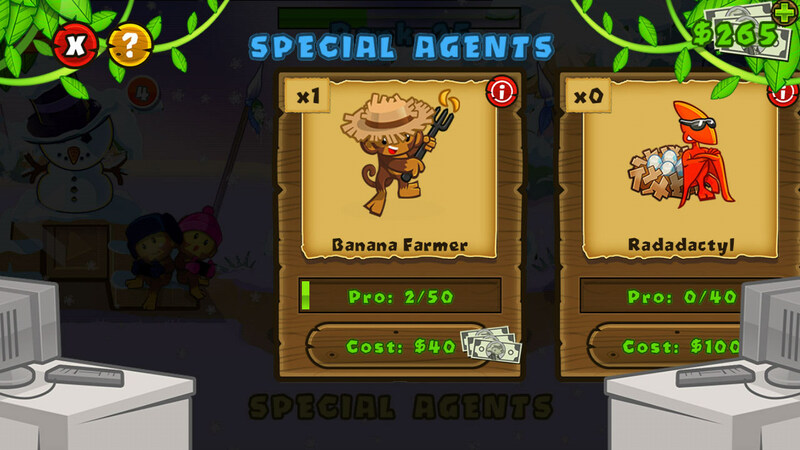 These units perform very different functions - one per player will collect bananas while others will be able to build a bridge or an artificial pond. The latter, by the way, will need to be placed in special water warships headed monkey-captain. 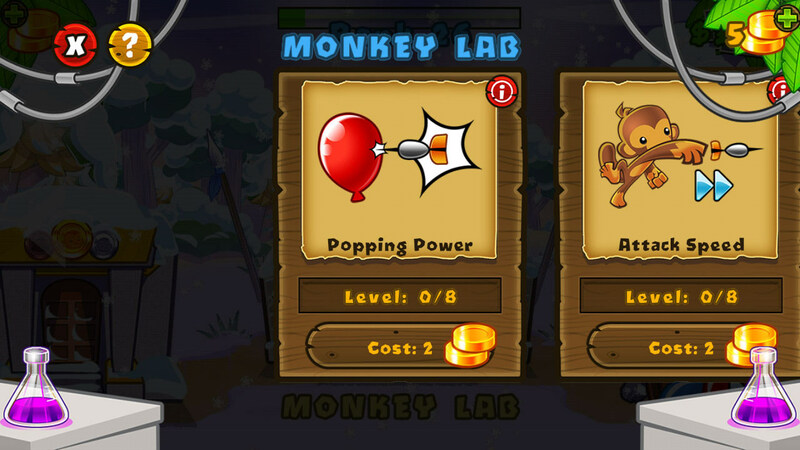 Among other things, each unit can be improved in a special lab monkey. The game has three game modes. The first is a normal campaign with a set of missions that you can pass on the 6 levels of difficulty. The second also involves a single game, but there are special tasks with different conditions. For example, in one such job will have to play only for those monkeys, mandatory garment which is the headpiece. The latter mode - a network game. Here you can play with a random person or with other previously authorized in Facebook. Set of cards for playing. The game is distributed charge and, thus, does not contain advertising. Game purchases are present here, but they need only to those who do not want to open all their own improvements. The game is very interesting and quality, disadvantages here are hard to find. The only thing that has not met expectations, a network mode in which you can not play against another player. 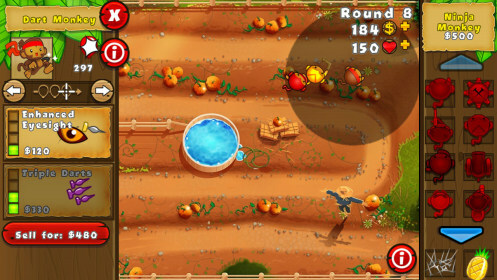 Bloons TD 5 can be attributed to the classic Tower Defense gameplay, however, at the same time, the game is completely new and unique product, which adds new features to the genre. Huge number of improvements and several game modes make the game very addictive, which, besides, you can play for a long time thanks to the many maps and missions. The minus is the inability to play with a live opponent, but here lament the developer is not quite correct, as specially created for this purpose a separate game Bloons TD Battles.